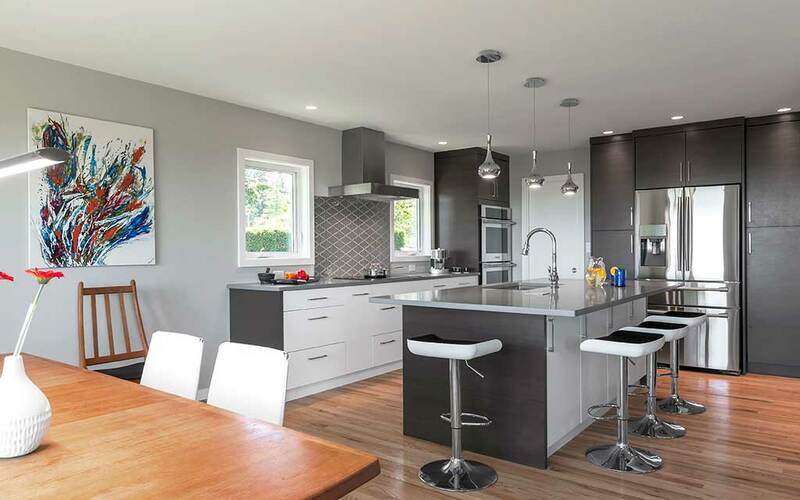 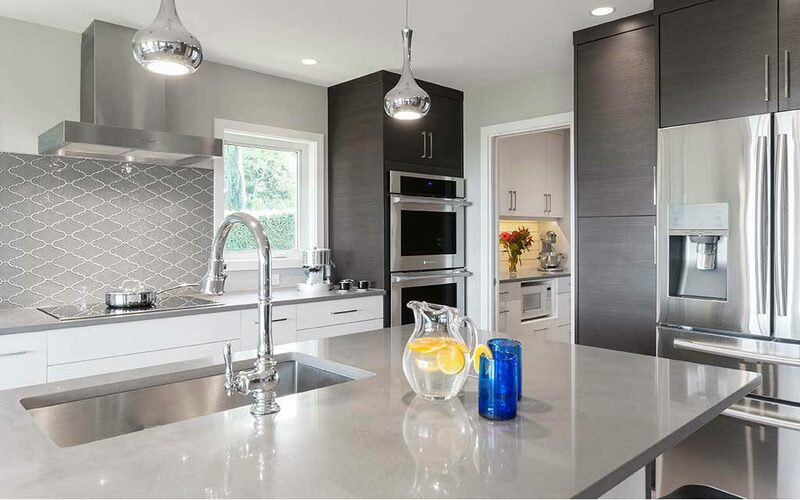 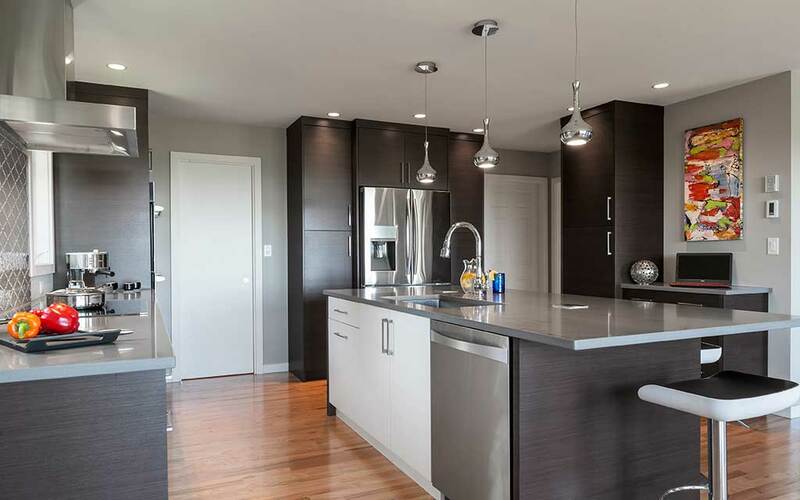 The inviting quartz topped island is a central hub geared to large group use. The addition of countertop plugs adds to its functionality and safety. 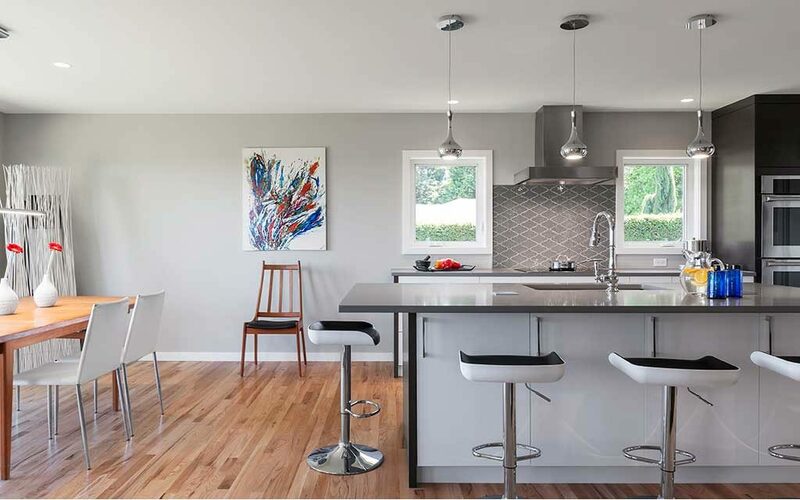 Abundance of seating was provided to create a fun gathering zone. Attention to detail is apparent with the multi zone work layout creating ease of use and function, everything has a place. 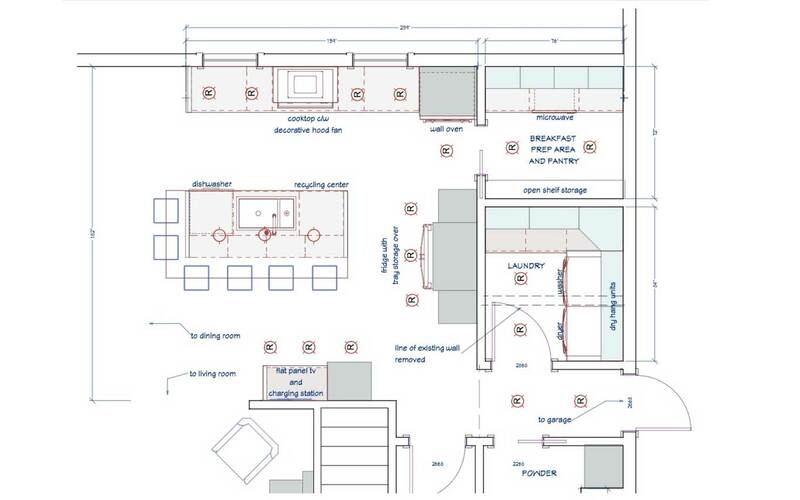 Washing, cooking, and multiple prepping zones along with charging station provided flexibility of use within space. The addition of a recycling pullout adjacent to sink helps to organize. 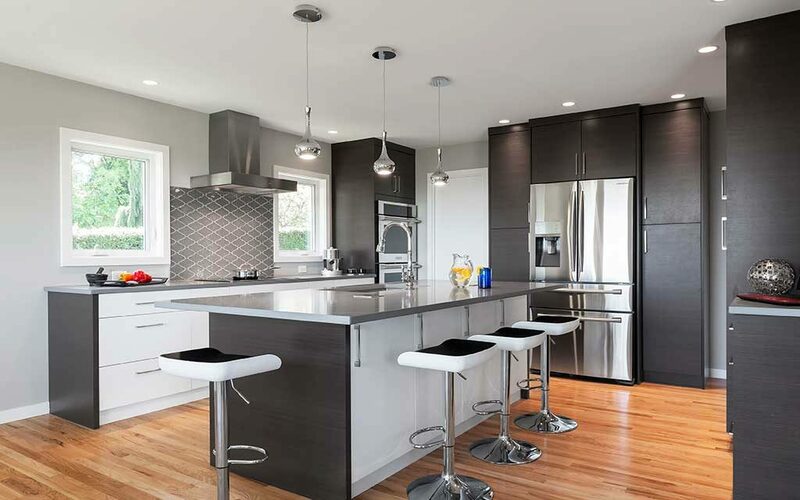 A breakfast prep area and small appliance storage combined with pantry storage is neatly tucked away. 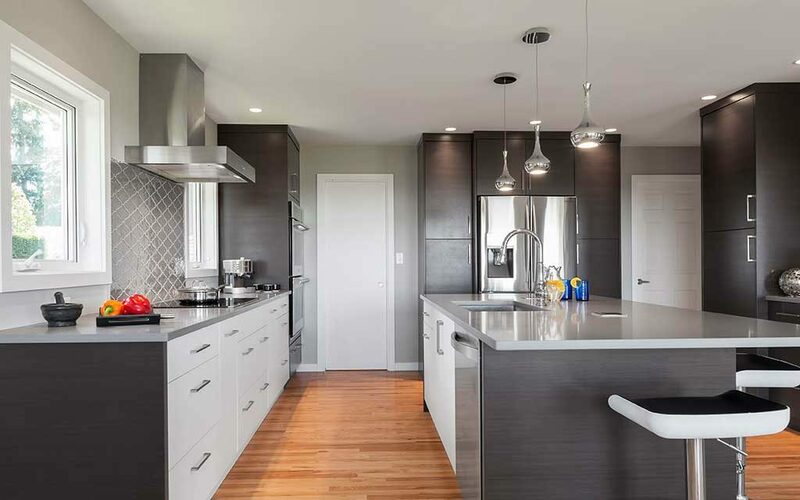 All cabinetry constructed of low VOC products, as well as LED lighting used throughout in recessed lights, pendants, and undercabinet lighting.